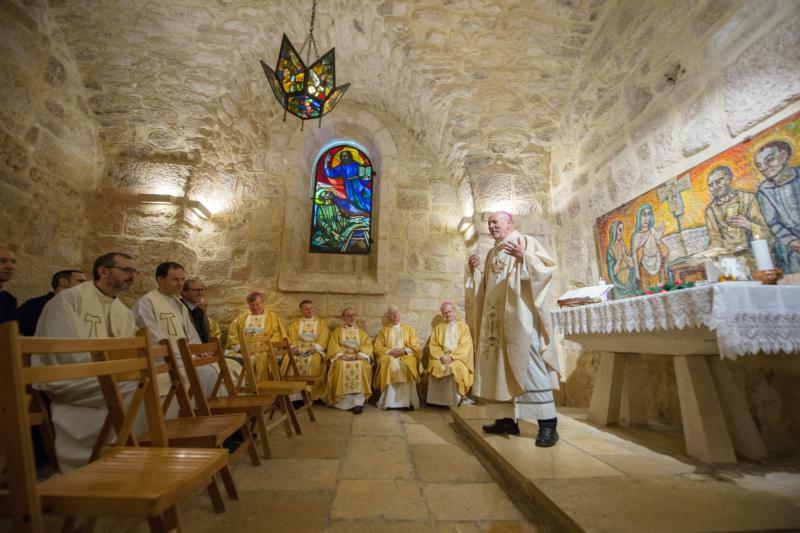 JERUSALEM (CNS) — Bishops from North America, Europe and South Africa who joined this year’s Holy Land Coordination reiterated their solidarity with all of Israel’s Christians and called for their equal inclusion in Israeli society. The nation-state law, which was passed as one of Israel’s Basic Laws by the Israeli Knesset last July, holds Israel as “the national home of the Jewish people” and states that “the right to exercise national self-determination in the state of Israel is unique to the Jewish people.” In addition, it downgrades Arabic from Israel’s second official language to one with a “special” status. Though the law will have little short-term effect, opponents are concerned about its long-term impact, which will depend on the character of future Israeli governments and how they choose to implement the law within government policy. Though Israel has already historically defined itself as the Jewish homeland, opponents say by enshrining it into a Basic Law, they have been effectively relegated to second-class citizens. Taking place this year in the northern Israeli city of Haifa Jan. 12-17, the coordination focused on the challenges and opportunities for Christians in Israel. The bishops visited Christian hospitals, schools and villages in Israel. They also met with Christian religious leaders, Christian mayors from Israeli towns, members of the Israeli Knesset, academics and people displaced from the Melkite Catholic village of Ikrit. In their statement, the bishops also noted the deepening humanitarian crisis facing Palestinians in the West Bank due to cuts in humanitarian funding by the U.S. administration.